A FaceBook post alerted me this morning, to the RailRiders’ old trick: They’re calling us out again, as they did last season with the “Friends Don’t Let Friends…” T-Shirt, in an effort to draw us up there to fill their park. This year, I’m not falling for it. Plus, IronPigs “Hate” day for them is Tuesday April 21–where weather could be an issue, and Reading is home. There were some comments on the FaceBook to the effect that “Hate” is a bad concept to sell. I guess I agree, although at first blush I just saw it as “fun and games” to try to goad us into coming up there again. And, I can’t help remember that their new ownership forced General Manager Rob Crain out this past off-season–I wonder if the wording would have passed his editorial review? Not a good idea to sell on “negative” if you can help it, you know. But that brings me back to the schedule for a minute. Looking forward, I see that the RailRiders are in town on Tuesday June 30 for our own “T-Shirt Tuesday” night. The T-Shirt design is “TBD” on the IronPigs promo schedule. Perhaps a nice reference to the team that WON the IronRail Trophy last season? If you’re out there Lindsey, Kurt, Morris, et al: A simple “2014 IronRail Champions” with OUR logo–and not theirs–would be sufficient. 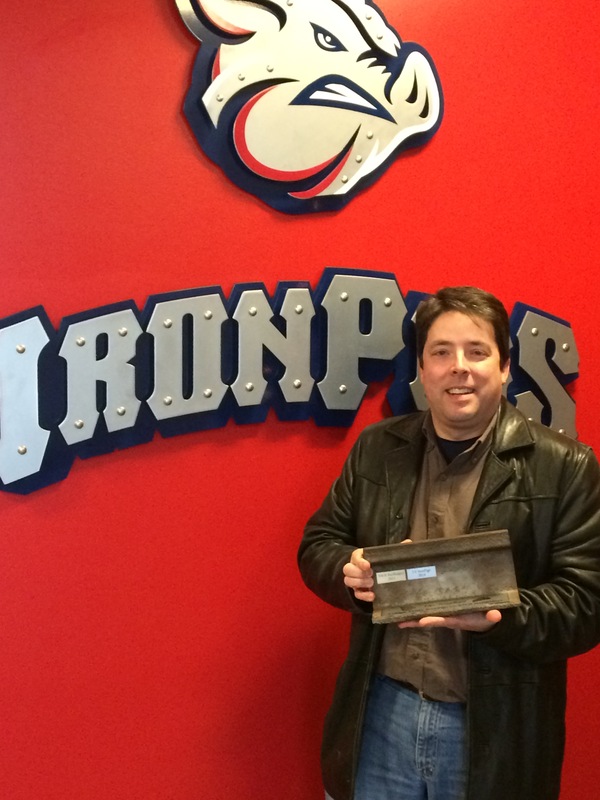 If that’s not good enough, what about a picture of “Kram” holding the IronRail trophy?